Kick off summer the right way this weekend by adding some easy, handmade decor to any memorial day party! 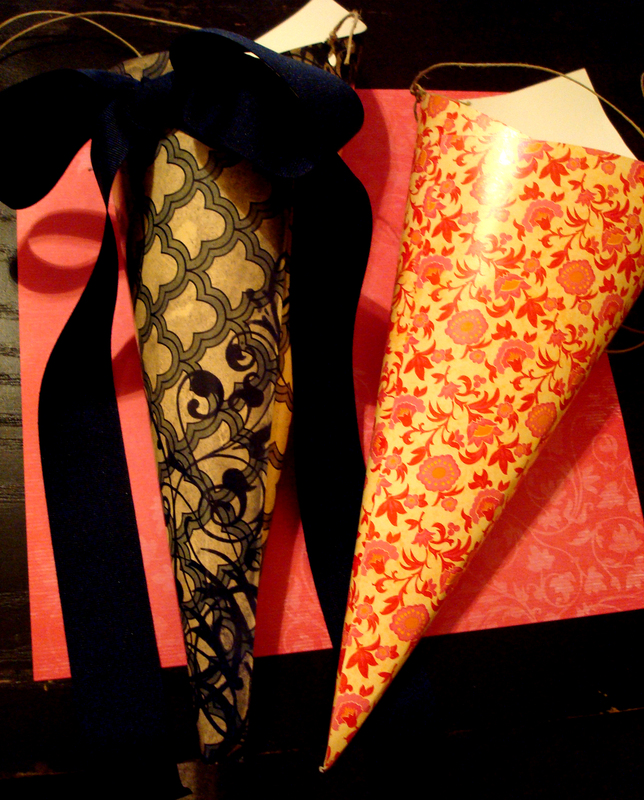 These paper cones make a perfect colorful addition to welcome summer. 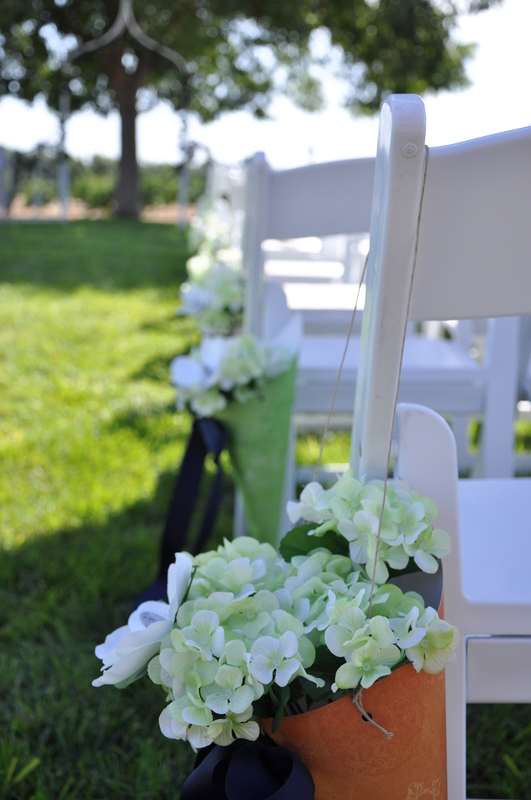 You can hang them on chairs or on the wall and fill them with flowers or utensils. I love projects that are simple but add so much to the feel of the party, this project definitely adds a laid back touch. 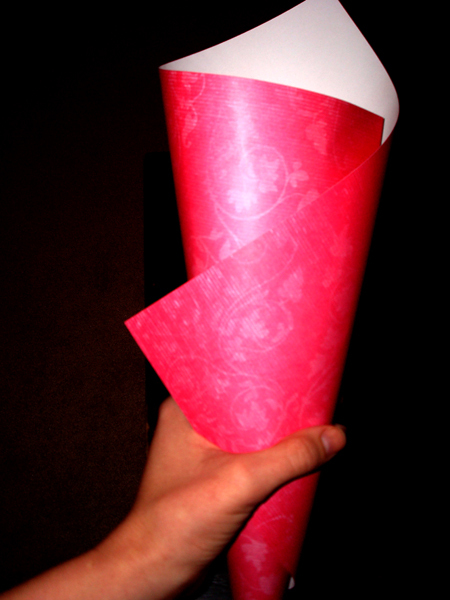 First, simply roll a sheet of your 12×12 paper into a cone shape and glue into place. Pressing firmly for a few minutes. You can also use hot glue but if you are having an outdoor party and there is a lot of direct sunlight or heat, hot glue will tend to melt and the paper will pull apart so I prefer plain old Elmers or Martha Stewart craft glue. Next, use a whole punch to make two holes, one on each side. 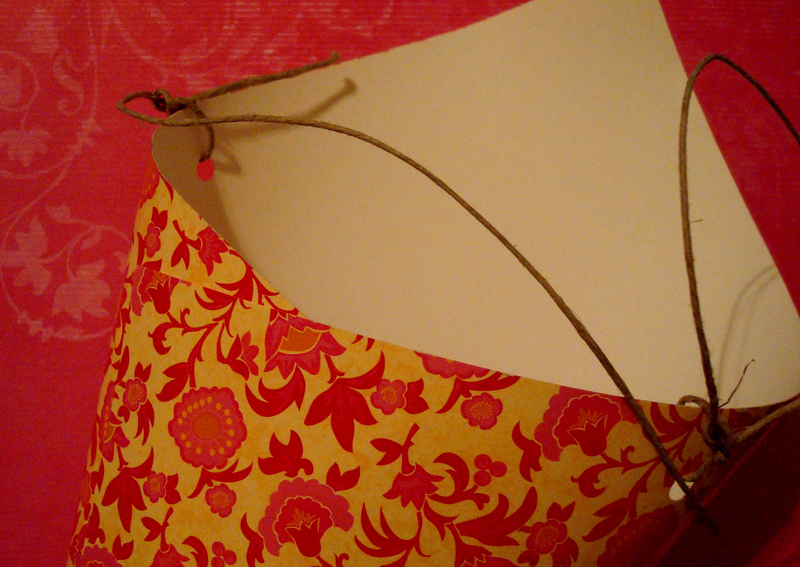 Go ahead and tie a handle with a string or a piece of twine and cut off the excess. 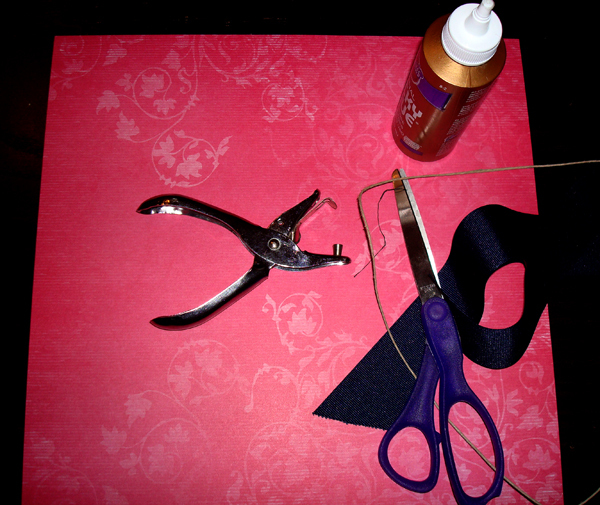 If desired, you can add extra embellishments like a large bow or buttons. Find a suitable place to hang your cones, a wall, a tree, the side of a chair…etc. Fill them with seasonal flowers, napkins or other light-weight goodies. 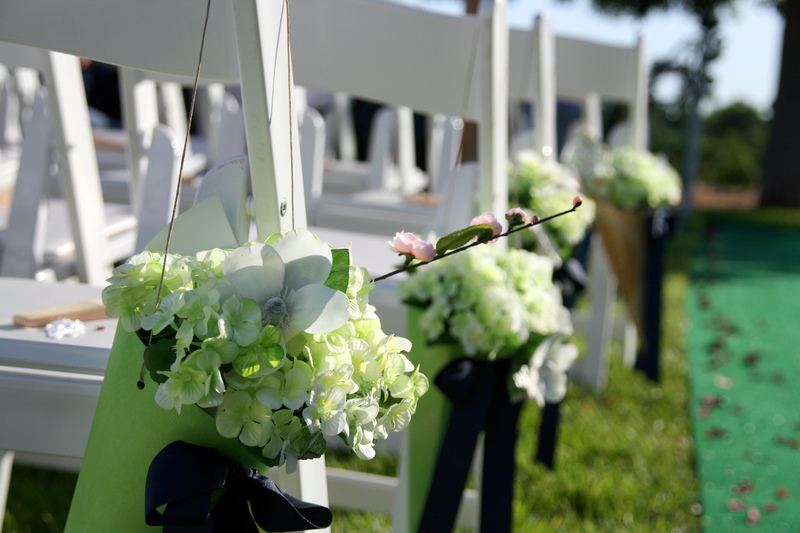 I did this project for my wedding in all different prints and lined the aisle chairs with one cone each.